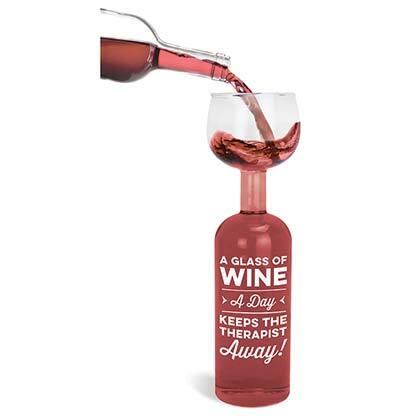 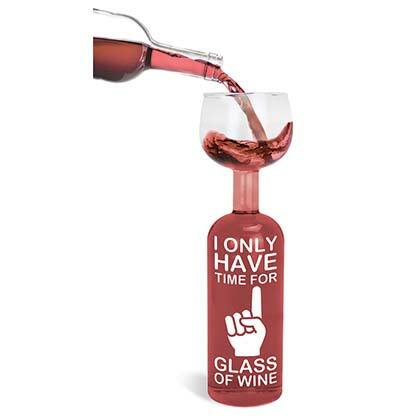 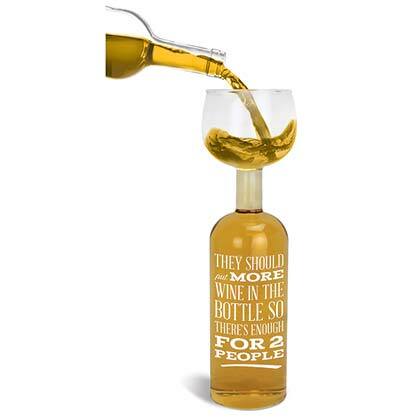 Get this Wine Bottle Glass if you're a really big fan of a whole group of wine! 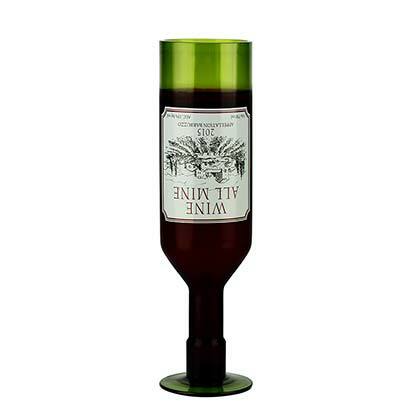 This baby holds a whole 25 ounce wine bottle. 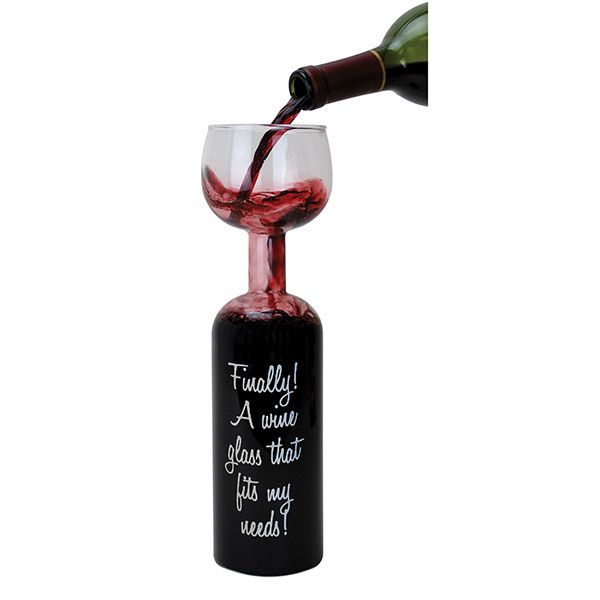 Measures 12" in height.